Click Here For Tasty Close Ups (2) 8 oz. 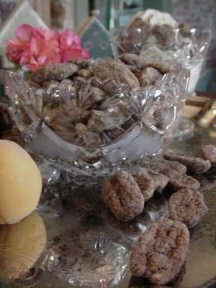 bags per order of large pecan halfs roasted in sugar & cinnamon, with a light touch of vanilla flavor. No oils or salt added!